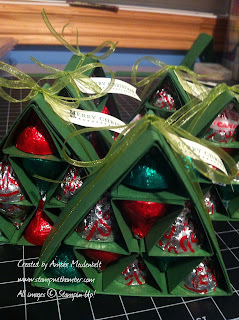 I saw this really cool design to make Christmas Trees filled with Hershey's kisses recently (on Qbees Quest blog) and just had to make them for the wrap-up night for the 2012 Christmas Card club. I opted not to make the trunk like Brenda had made, as I wasn't sure if I'd be able to find the chocolates to fit. The other modification I had made was using the Jewelry Tag punch to make the tag on the top of the trees. If you stick one end of your paper into the top of the punch, you can extend it so that the length is long enough to match your greeting! 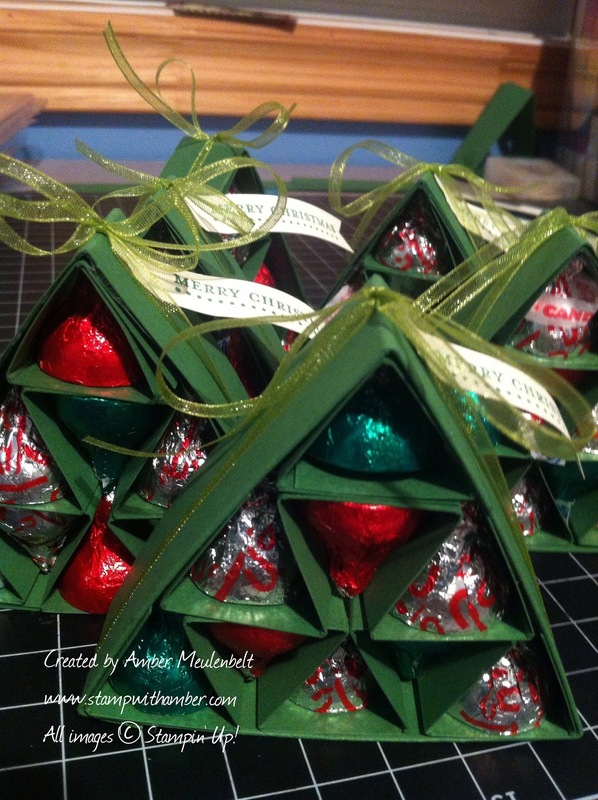 They were quite easy to make and really impressive - I loved how the kisses just fit in each spot; it made them really easy to transport! 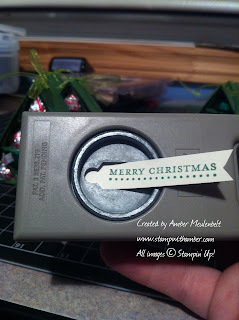 I think I'll make some more!